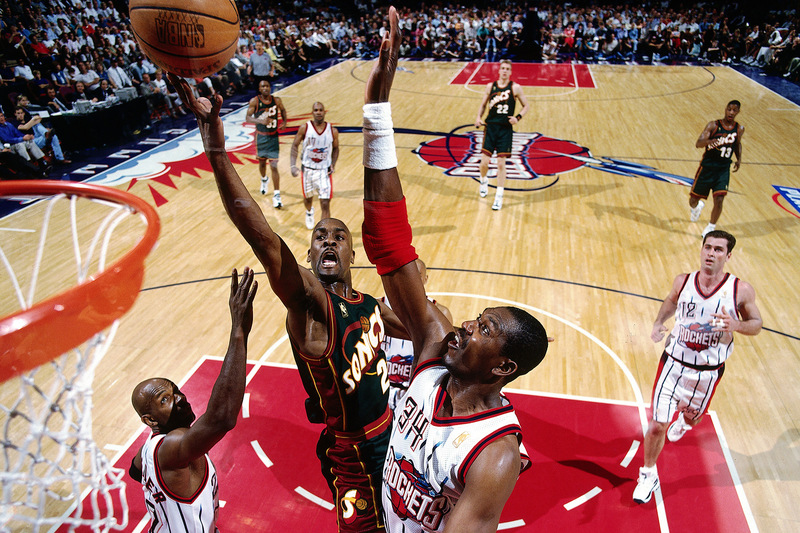 Gary Payton was tough in the post, man. The Sonics always gave us trouble. It was Gary. After we played them one time, I remember going up to my teammate Mario Elie. We were just finishing practice. I had to know what was going on. “Is Gary strong?” I asked him. How was this little guard doing so much damage in the paint? I walked over to Clyde Drexler. Clyde was shaking his head. Mario overheard us and came over. No one could give me an answer. I always thought of myself as a guard in a big man’s body. Maybe that’s why I respected Gary’s game so much. He never wanted to be just a guard — and I never wanted to just be a traditional center. I didn’t really have a choice. No one ever told me what a center should play like. 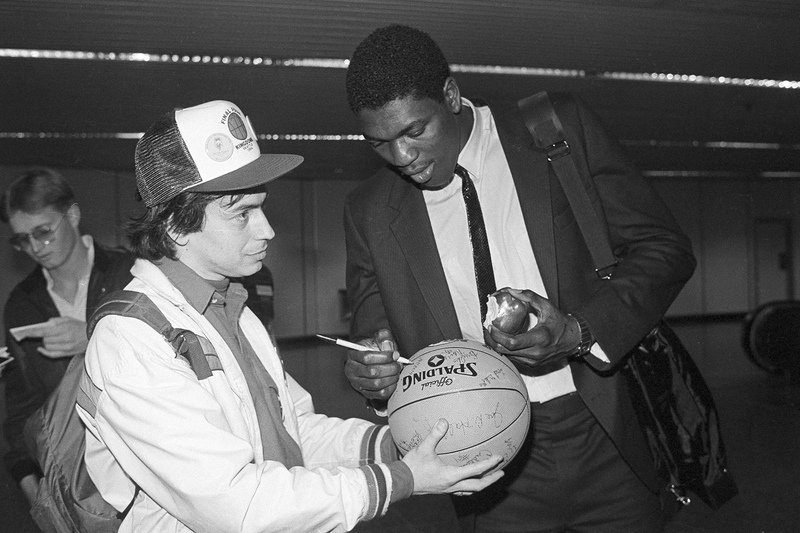 When I first arrived in America at age 18, I had never watched an NBA game. Not even one. 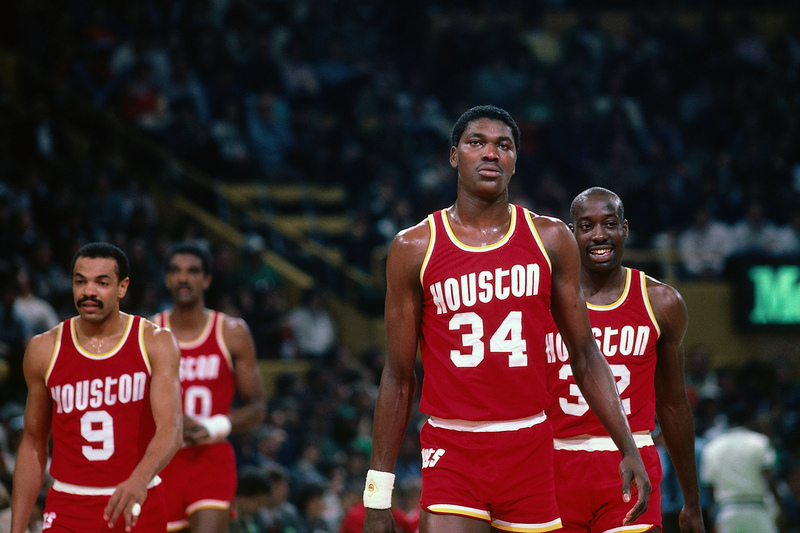 When I came from Nigeria to play college basketball in Houston, I didn’t know the name of a single NBA player, either. I first shot a basketball only a year before that, when I was 17 years old. At the time, I had the footwork of a soccer player. I always thought of myself as a guard in a big man’s body. As it turned out, being naive about basketball worked in my favor. I didn’t approach basketball with any preconceptions. When my coach told me to play the center position, I didn’t know what he meant. I could name the five positions, but I couldn’t really explain the difference between a center and a small forward. I didn’t want to stay in the key. I watched the guards and I was inspired by their creativity. So I developed my outside game. I didn’t just do big man drills. I worked on my dribbling and my mid-range jumper. I worked on my passing and my footwork. If I had a slower guy guarding me, I would draw him outside of his element. I could get an easy jumper, or I could cross him over and beat him to the rim. If he was smaller, I’d get early position inside and post him up. I learned that basketball and soccer are similar in at least one way: You take what the defense gives you. Soon, coaches stopped telling me to stay in the key. Two weeks ago, I was watching the Warriors and Rockets in the first round of the playoffs. I had some friends over and the conversation turned to a picture on the wall in my house. It’s this picture of me and Shaq in the 1995 NBA Finals. It’s incredible. Shaq’s guarding me on the perimeter and I’m dribbling the ball. We’re both way outside the key, like two point guards. I’ve always loved this image — and not only because we were younger and in better shape. I remember the crowd jumping to its feet when I caught the ball. “So you’re saying you used to play small ball!” one friend said. Everyone laughed. I reminded them that I took 143 three-pointers in my whole career. Total. (If you’re curious, I made 30 of them.) Sitting on the couch, someone mimicked me shooting a three-point jumper. Now the room was in uncontrollable laughter. As funny as the picture is, I think it says a lot about how the league has changed. During my career, big men had a pretty defined role. Shaq was a beast. If you let him get position, it was over. I’d be yelling at the ref “Three seconds, three seconds! He won’t move!” There won’t ever be someone with Shaq’s combination of size and skill. Dikembe was the ideal center, a prototype of the traditional big man. Deke held down the middle, and I used to watch tape of how he got blocks on the helpside. He made me better. 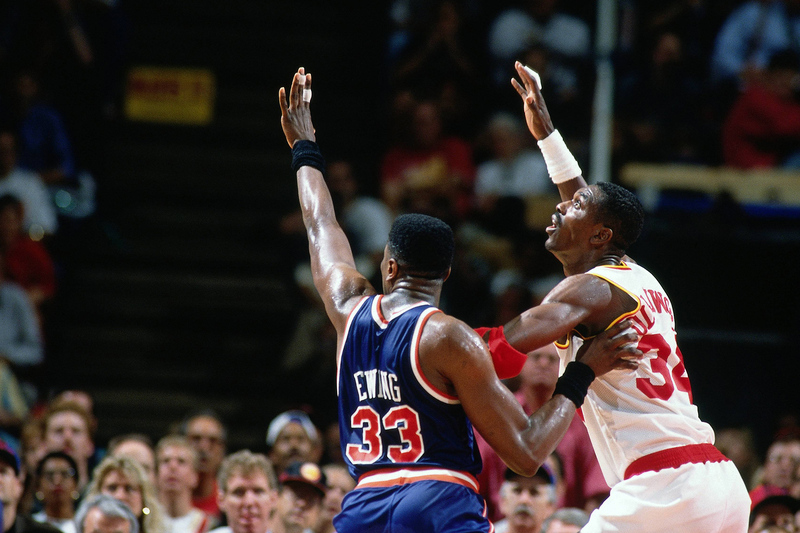 Patrick Ewing was one of the toughest players in the paint. He could work you in and out for the full 48. I have tremendous respect for Patrick. David Robinson was one of the quickest big men I have ever seen. I think of the word agile. I think of the word leaper. For a big man, David could get up. He was so quick and flexible and hard working. Yao Ming is another unique post player. I didn’t ever play against him, but he worked out with me in Houston. When he showed up for his first workout, the first thing he did was show me all of my moves, one by one. He had been studying them. Yao had a very soft touch and some of the best footwork of a big man that I’ve seen. MJ wasn’t a traditional big man, but he was an everything guy. Michael was a genius on the low block. He really did jump first and decide in the air. Whenever we played the Bulls, we’d double and triple team MJ in the post as soon as he put the ball on the floor. Michael probably doesn’t get enough recognition for how well he passed out of the post. You could always tell when Michael was killing us inside because Will Perdue and Luc Longley’s points went way up. 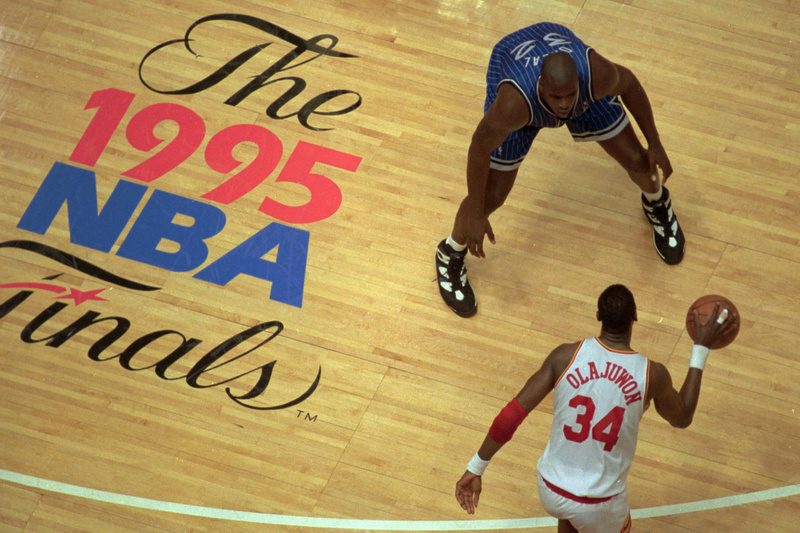 In 1995, it was rare to see two centers out on the perimeter at the time. Today, big men have to know how to play like guards to survive. People sometimes ask me, “Is the era of the dominant big man over?” They wonder if small ball will make the NBA a shooting guard’s league. But if you only look at sharp shooters like Steph and Klay, you miss what’s going on. Those guys are special, but they’re not the norm. Small ball has made stars out of of traditional guards, but in my mind the biggest thing it has done is to liberate big men from their traditional duties. They’re no longer stuck in the paint. Small ball won’t eliminate big men, but it might eliminate our old ideas of positions. Everyone likes to compare eras, but it’s possible that today’s big men are more skilled as all-around players than ever before. Look at guys like Draymond Green and LaMarcus Aldridge in this year’s playoffs. 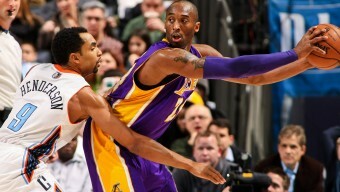 I’m in awe of how they play like guards and centers at the same time. I would love today’s NBA. It’s like when I was a freshman in college and didn’t know what a center should act like — so I pretended I was a guard. I didn’t want to have a position at all. It almost makes me wish I was still playing today. I just feel bad for whoever has to guard a guy like Draymond Green right now. He reminds me of a 6’10” Gary Payton. All these years later, I still haven’t figured out how Gary beat us so bad. In a few years, how many more of these types of players will we see? I don’t know but I’ll be watching.